Costa Calma is located on the Canary Islands, in Spain. It is a place on the beautiful, popular island of Fuerteventura. At the same time, Costa Calma is also the second largest resort in the south of Fuerteventura. Costa Calma and its surroundings offer a large number of attractive excursion destinations and interesting sights that can be easily reached by rental car. From the airport to the beach "Playa de Costa Calma"
The island of Fuerteventura in Spain on the Canary Islands is usually reached by plane. The nearest airport, Fuerteventura Airport (FUE) is only a few kilometers from the capital Puerto del Rosario. Due to the good location of Fuerteventura Airport you have the possibility to reach your desired destination quickly and comfortably with your rental car. For example, it is possible to go directly from Fuerteventura airport to the popular sand beach Playa de Costa Calma. The region Playa de Costa Calma is located in the southeast of the beautiful island and has a beautiful, about two kilometers long sandy beach. The beach is surrounded by a variety of hotels, so that you can reach Playa de Costa Calma quickly and easily from your conveniently located holiday accommodation, for example. The term "Playa de Costa Calma" means "calm coast", which is absolutely true here. For example, there are hardly any currents and the waves are usually very small. Because of this, the beach is also an ideal destination for a trip by rental car with the whole family, because even the little ones in the family can paddle safely. But also for active vacationers it isn't boring: Thanks to the prevailing winds, both kiters and windsurfers feel at home here. Even banana boating and jet skiing is possible at the beautiful Playa in Spain. For a little refreshment there are two beach bars right on the beach. Especially during the holiday season, a rental car is a great way to be flexible and independent and to create your trip the way you like it. To ensure that everything runs smoothly during the holiday, we recommend that you book your rental car for Costa Calma or Fuerteventura in advance from home. This way you can be sure that all availabilities have been checked and that your rental car contains all services that you specified when booking the rental car. With online price comparison you save up to 60% when booking a rental car. You also benefit from price transparency and certified security when booking. In the search mask you can select the desired travel data, insurance and additional services via filter. This way you can book your rental car safely, easily and cheaply. Of course it is also possible to start a sightseeing tour directly after the car renting. The Canary Islands inspire not only because of their beautiful landscape, but also with their diverse sights. For example, a rental car trip to Antigua is worthwhile. Antigua on Fuerteventura is easy to reach by car. The village was founded in the 18th century and is one of the oldest on the island. From 1812 to 1835 Antigua was even the capital of the island. Here, beautiful green spaces and the Church Virgen de la Antigua, located inside the city, are just waiting to be discovered. Every year in May or June the popular Artisan Fair "Feria Insular de Artesanía" is held. Whoever is in Antigua with the rental car during that time, should not miss the fair. There the most diverse craftsmen present their beautiful pieces. Also very interesting is the local market, which is known on the whole island. It is also worthwhile to continue by rental car to Puerto del Rosario. The old mills and farmsteads there are absolutely worth seeing. If you book a flight to the Canary Islands to Costa Calma, you should definitely take the rental car to Gran Tarajal, which is located in the southeast of Fuerteventura. The area has so far been spared from mass tourism and offers, for example, a beautiful beach with dark sand. After the trip by rental car, the wonderful beach promenade with its small restaurants is a wonderful destination. It is also the second most important commercial port on the island of Fuerteventura. At the entrance to the village you will find the impressive city park, which invites you to take a relaxing walk. Also worth a visit is the Plaza de la Candelaria, the beautiful village square of Gran Tarajal, which forms the centre of the village. There is also the Church Nuestra Señora de la Candelaria. The church was donated by the founder of the city, Matias Lopez, and dates from the 19th century. With a rental car from a local car hire company you also have the option of driving to Caleta de Fuste. The town is conveniently located and can be reached quickly by rental car from the capital and Fuerteventura Airport (FUE), for example. "Caleta" means "bay", while "Fuste" is the Spanish name for "fishing boat". However, the place is generally also called "Castillo", as there is a castle near the harbour. On the island of Fuerteventura, Caleta de Fuste is one of the major tourist attractions. There are numerous shopping centres and restaurants downtown. Several large shopping centres are slightly outside, such as the Happycenter and the Shoppingcenter Atantico. There you will surely find a souvenir or two. After the shopping tour you can rent a car to the fine sandy beach here, which resembles a bathing bay and is very popular with families. You can also enjoy a wide variety of water sports, such as jet-skiing. But there is also a lot going on at night: the various clubs, pubs and bars ensure that. If you are in Caleta de Fuste on a Saturday with a rental car, you should not miss the weekly market, which takes place next to the main street. A wide variety of goods can be purchased there between nine and two o'clock. 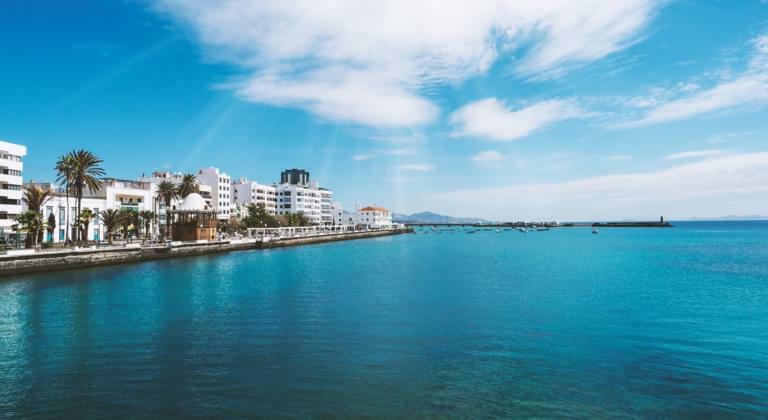 But the island of Fuerteventura has much more to offer: For example, when booking a rental car, it is worth planning a visit to Morro Jable, a small, tranquil fishing village. The area has been a very popular holiday destination since the 1970s, but over the years it has retained its typical Canarian character. At the local lighthouse, for example, there is a wonderful beach for surfers and divers. The so-called moray reef is very popular here. Many excursion boats leave from the port, including the ferry, which crosses over from Fuerteventura to Gran Canaria. The beach promenade in Morro Jable, on the other hand, offers many smaller restaurants that delight with tasty fish dishes. With the help of a rental car Costa Calma and the island Fuerteventura can be discovered cheaply and easily. For example, it is possible to start an exploration tour directly from the airport with the rental car of the car rental company. The island or Costa Calma has a lot to offer that makes for an unforgettably beautiful holiday. Booking a rental car is not only very cheap, but also a flexible way to explore the area on your own. Thanks to the rental car, for example, you are no longer dependent on public transport. After all, buses, trains and the like don't always go to the times or places you want to visit. With us it is possible to book a rental car within a very short time. For example, we offer a quick and easy reservation. In addition, our customers can choose between a wide variety of vehicles. For example, it is possible to select a small car, an off-road vehicle or even a limousine when booking. Whether VW, Mercedes, Smart or Volvo: our customers book exactly the car they need and always wanted to drive according to their needs and wishes.